While tens of thousands of race village visitors to the Volvo Ocean Race enjoyed the unseasonably hot weather without a care in the world on Thursday, 66 sailors were left to contemplate nearly 39,000 miles and nine months of sailing’s toughest offshore crewed racing which starts in 48 hours. The last day before the 12th edition is a time for families, preparation and trying to calm nerves before an event that takes every last shred of concentration, emotion and energy from its participants. For many, especially Abu Dhabi Ocean Racing skipper Ian Walker, the beginning of Leg 1 to Cape Town can only bring back bad memories after his challenge was scuppered within hours of departure from Alicante in 2011 when the rig of his Volvo Open 70 was snapped during a coastal Mediterranean storm. This time the forecast is more benign – medium light winds – and the seven-strong fleet are sailing in a new one-design boat, the Volvo Ocean 65, which is built for durability. However, as another experienced sailor, Team Brunel navigator Andrew Cape, made clear, the hours beforehand are continuing to drag. “I want the race to get going, and I want to get into the race, but we can't go now, there's not even any food onboard, so Saturday's the day,” he said. Everyone has a personal bag of their own items to take on board. Nobody will be more keyed up than the two Chinese sailors on board Dongfeng Race Team, Jiru Yang (Wolf) and Jin Hao Chen (Horace), whose offshore sailing experience remains minimal. Their crewmate Martin Strömberg, a winner onboard Groupama in 2011-12 last time, was feeding off their energy – Wolf was even in tears at a news conference earlier this week speaking of his pride in taking part and helping to fly the flag of 1.3 billion people. “The Chinese guys are very excited, and it gives me a bit of a boost as well, because it's nice to see them excited about getting out and sailing, it's cool to see,” said Strömberg. 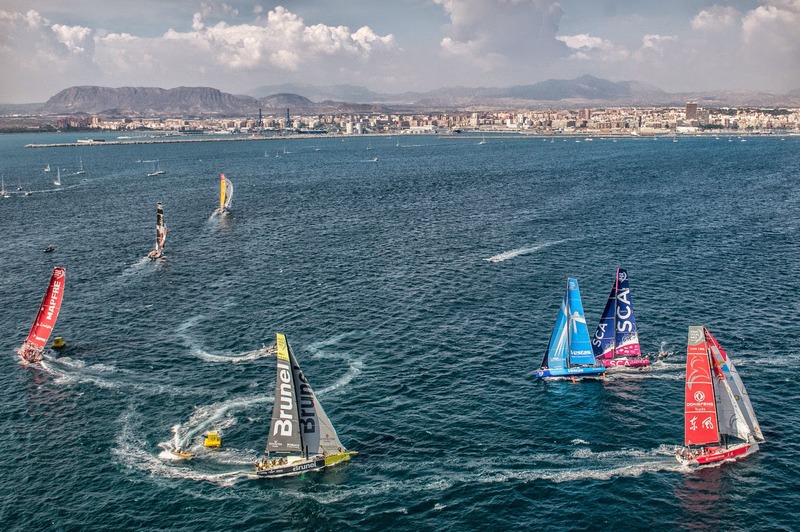 So how will the big Swede be preparing himself for Saturday’s Leg 1 lift-off come 1400 local time in Alicante? “I have my family here so we'll probably go out for a nice meal in the evening - early to bed. Get ready for the leg start. We've been here for a month, it's been very nice, but now real life starts - and we'll all get a rude awakening, I think, when we get out on the ocean." Team Alvimedica [USA/TUR]: skipper Charlie Enright [USA], crew from United States of America, Australia, France, Italia, New Zealand. Team SCA [SWE]: person in charge Samantha Davies [UK], 100% female crew from the United Kingdom, United States of America, Australia and The Netherlands. 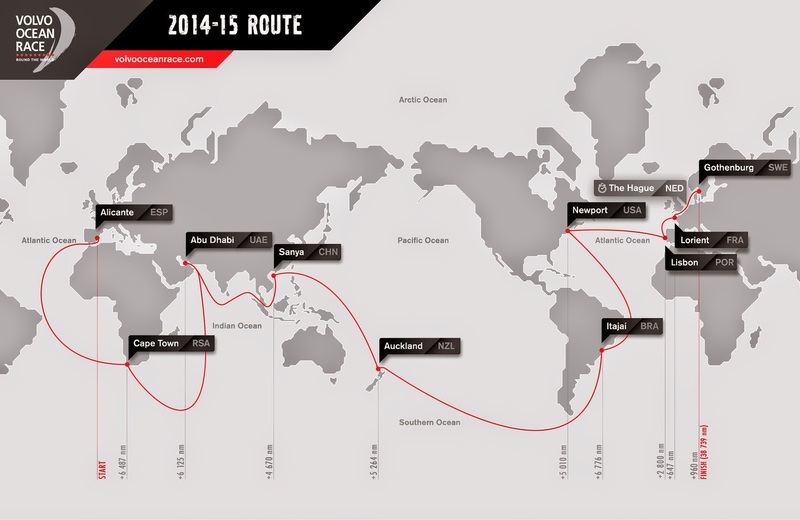 Dongfeng Race team [CHN]: skipper Charles Caudrelier [FRA], crew from China, France and Sweden. Abu Dhabi Ocean Racing [UAE]: skipper Ian Walker [UK], crew from New Zealand, Ireland, UAE, Australia, Spain. Team Vestas Wind [DEN]: skipper Chris Nicholson [AUS], crew from Australia, New Zealand, Denmark, Argentina, the Netherlands. Team Brunel [NED]: skipper Bouwe Bekking [NED], crew from the Netherlands, Lithuania, France, Belgium, Spain, Australia, Denmark. MAPFRE [ESP]: skipper Iker Martinez [ESP], crew from Spain, France, Brazil, the United Kingdom.